Jec Ballou, is a talented clinician based in California. 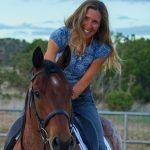 She helps horses and riders from multiple disciplines to become more fit and better performers with straightforward tools. 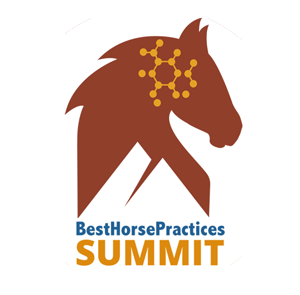 Ballou is the author of several books, including the best-selling 101 Dressage Exercises for Horse and Rider as well as Equine Fitness. Visit her website here. She has trained and competed through the FEI levels and has also competed in long distance trail riding, Ride & Tie, breed shows, and almost everything in between. She won three consecutive East Coast championships in distance riding, becoming the youngest rider in history to win the prestigious Vermont 100 Mile Competition. 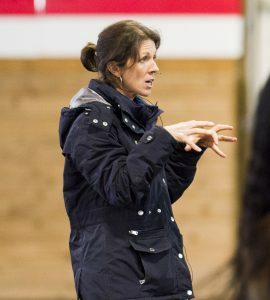 A proponent of interdisciplinary study, she serves as an advisor to the Western Dressage Association of America. Ballou works tirelessly as an advocate for the understanding that proper biomechanical movement and athleticism can never happen as a result of short-cuts, force, or hurried training methods.